Please help Kathy Graham breathe freely again! It’s the little things we take for granted: making the bed, showering, walking around a grocery store, playing with your granddaughter. These are the things my mom, Kathy, who is just 51 years old, can’t do without an oxygen tank, losing her breath, and coughing uncontrollably. These are the things she will never take for granted after receiving the gift of life: a double-lung transplant. It started 13 years ago with aching muscles. Testing led to the eventual diagnoses of polymyositis (a muscle disease), scleroderma (a connective tissue disease), and pulmonary hypertension. Doctors said there were three medications to try, but all failed to help my mom. It was December 2011 when the severity of the disease increased sharply. Mom had to use her oxygen tank all day, every day, which meant she could no longer work for the utility company where she had been employed for 31 years. She was put on long-term disability until her termination in December 2013. Exhausting all treatment options meant a double-lung transplant was the final alternative. Mom began the evaluation process at the University of Pittsburgh Medical Center, one of the best transplant centers in the country. The day she got the call from them saying she was a good candidate for transplantation was the ray of hope our family needed! Now we start the process of moving my mom and dad to Pittsburgh. My dad will be leaving his job as an automotive mechanic to be Mom’s full-time caregiver. Once transplanted, they will need to stay in Pittsburgh for at least a few months for recovery. Transplantation is the gift our family is praying for in order for my mom to live a longer, better-quality life. But with it comes high expenses. Even with medical insurance, there are costs that aren’t covered, such as co-pays, deductibles, travel and living expenses, and immunosuppressant medications that Mom will have to take for the rest of her life. 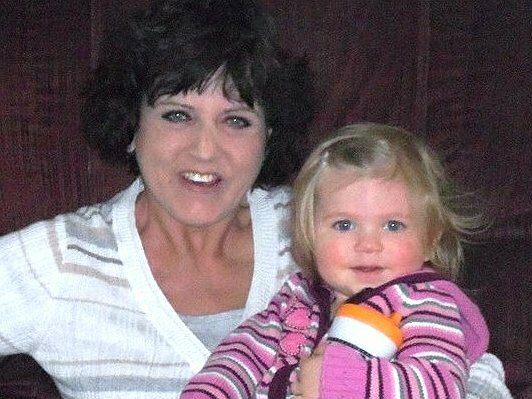 To help with these expenses, a fundraising campaign in my mom’s honor has been established with HelpHOPELive, a nonprofit organization that has been assisting the transplant community for 30 years. All donations are tax-deductible, are held by HelpHOPELive in the Midwest/West Lung Transplant Fund, and are administered by HelpHOPELive for transplant-related expenses only. Thank you for considering making a contribution. Your financial gifts will be greatly appreciated and will help us make it through this difficult time. Kathy I know how important this is. Though my dad' s transplant of stem cells were his own it fought the cancer for 9 years. Praying you will get what you need for a great quality of life!